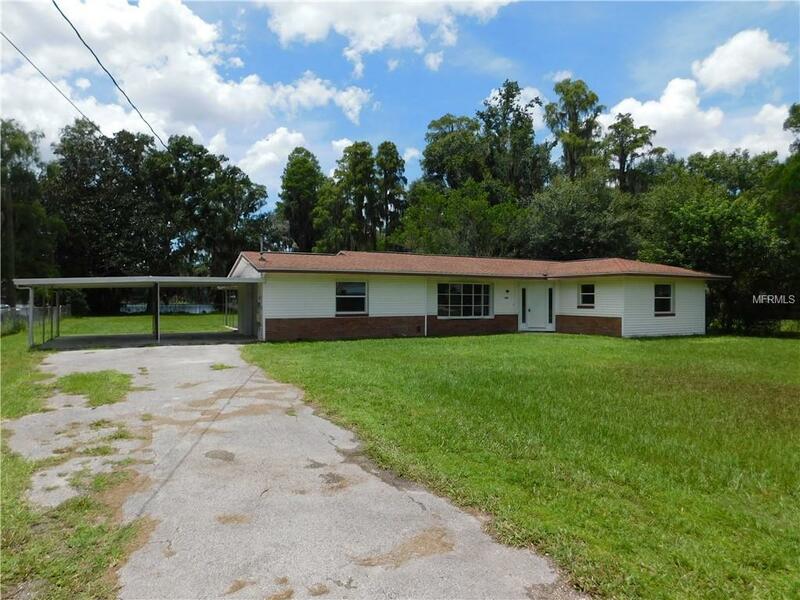 REMODELDED 3 BEDROOM, 2 BATH WITH 2 CAR CARPORT AND 1 CAR GARAGE FOR STORAGE ON .66 ACRE LOT ON 33 ACRE MOSS LAKE. SPACIOUS OPEN LIVING ROOM AND DINING ROOM WITH NEW FLOORING. KITCHEN HAS UPGRADED CUSTOM CABINETS AND GRANITE COUNTERTOPS. THERE IS ALSO A DEN/FAMILY ROOM. 3 BEDROOMS WITH NEW CARPET. MASTER BEDROOM HAS A WALK IN CLOSET AND REMODELED BATHROOM WITH STEP IN SHOWER. THE OTHER BATHROOM HAS A NEW CUSTOM VANITY WITH GRANITE COUNTERTOPS. IT COMES WITH A DOCK THAT NEEDS REPAIR. (DON'T TRY TO WALK ON IT). THERE ARE NO HOA OR CDD FEES. SO BRING YOUR BOAT, RV OR BUILD A WORKSHOP.